MoonBow Technology Co., Ltd. is a professional electronic consumer manufacturer which possess a 1000 square meters factory and about 300 staffs. we dedicates to digital audio and video products .now We fucos on Bluetooth Amplifier & receiver, and 3D Pen, With strong R&D team and cost advantage of Made in China, we can provide the most competitive products with high quality to our customers. With the most professional technical support, fastest delivery, strict quality control, we offer the most flexible customization to meet the demand of each customer. 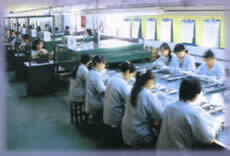 No matter small quantity or big quantity, we will be your best manufacturing partner. 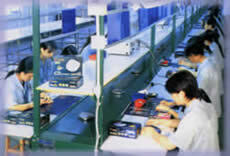 our tenet is "Provide best quality with competitve price and best manufacturer service". We focus on OEM and ODM business, we have made OEM customer all over the world. Now we are looking forward to cooperation with overseas customers based on mutual benefits, We still can be your IPO(International Purchase Office) based in China,we can help you to search the goods you need and test to control the quality. Thank you visit our website and please kindly contact us freely .